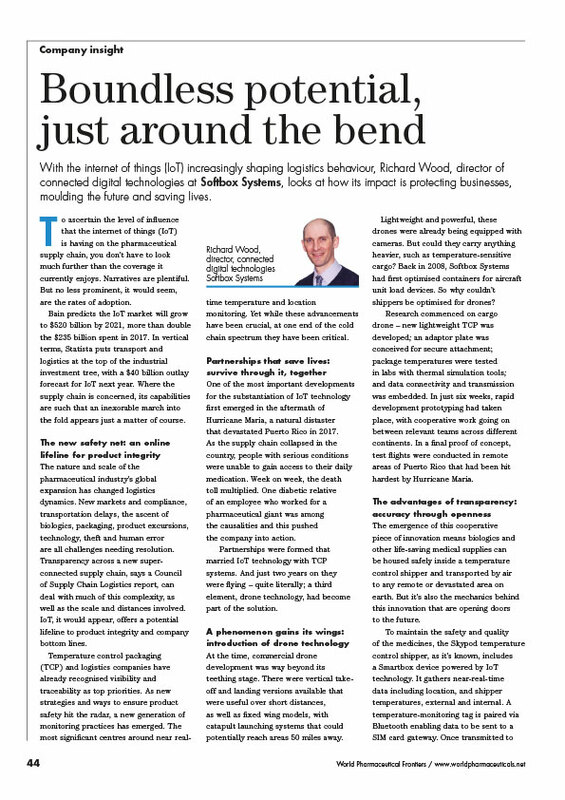 With the internet of things (IoT) increasingly shaping logistics behaviour, Richard Wood, director of connected digital technologies at Softbox Systems, looks at how its impact is protecting businesses, moulding the future and saving lives. This article, published in the March 2019 edition of WorldPharma, discusses how the cold chain industry is embracing technological advances, from IoT real-time monitoring to blockchain data preservation. The future of the industry will rely heavily on the proper integration of interconnectivity and the patience required to allow the technology to grow.